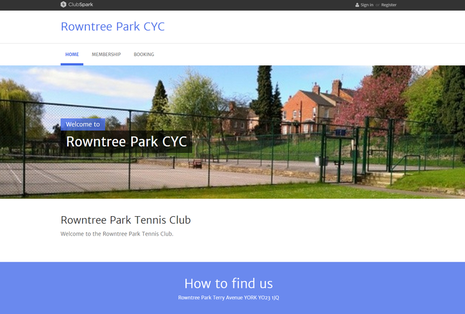 The courts at Rowntree Park are administered by Rowntree Park Tennis Club. The courts can be booked at certain times for use by members of the public (non-members). 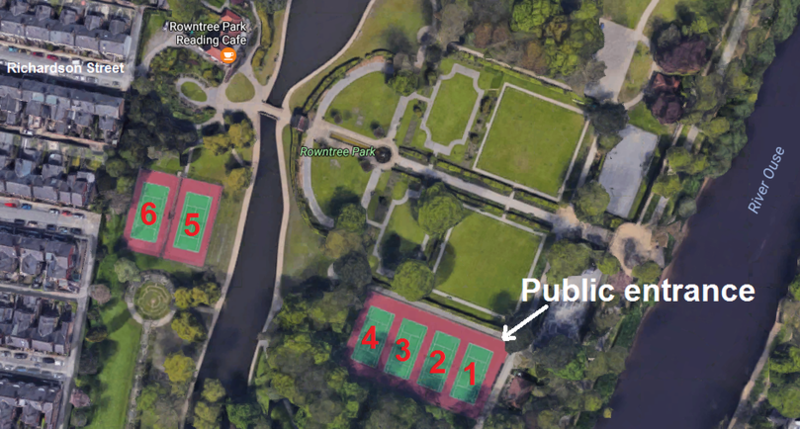 Depending on their category of membership, members of the club have access to Courts 4, 5 and 6 at times they are not required for booked club events (coaching/matches and organised club sessions). Members' access to the courts is free of charge and controlled by the club member’s access code. 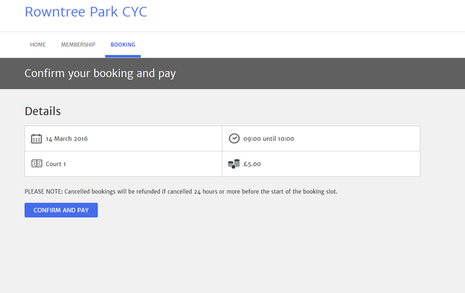 Member play can now be booked online via ClubSpark. At times when the courts are not required for club use, Courts 1, 2, 3 and 4 are available for public bookings. 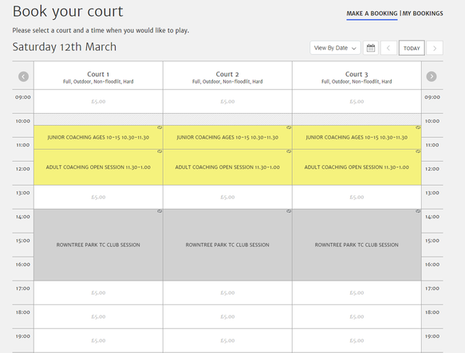 Bookings must be made using the online ClubSpark system and any fees will be collected when the courts are booked. 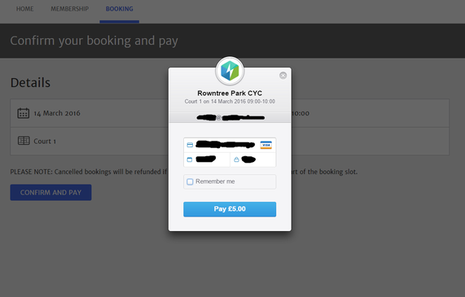 To book a court, go to the ClubSpark booking site, or use the ClubSpark Booker app (the club name is "Rowntree Park CYC"). This can be downloaded free and is available for iOS and Android. The booking site will show which courts are available and the cost of each booking (£7.50 per hour per court from April 2019 - the images on this page are now out of date). To book simply select the booking slot you wish to use. 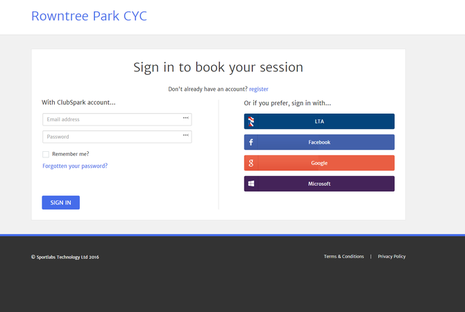 Before making your first booking you must register your email address with the booking system. Or you can use an existing Facebook, Google or Microsoft account. Once registered you will then be able to make further bookings and see your current court bookings. 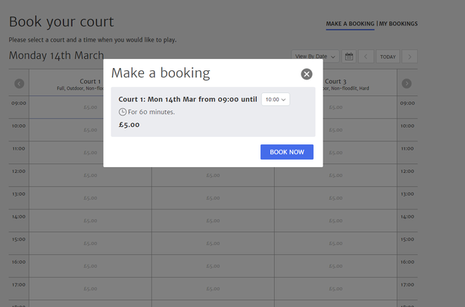 Selecting a booking slot will display the time of the court booking before you will then be asked to pay the court fee. Once the fee has been paid an email will be sent to you. The email contains the PIN code to allow access to the courts. The PIN code is valid from 15 before the start of your booking. Access is ONLY via the gate to Court 1 (nearest to the skate board area). Other gates are for club members' use only.